Block a sender's emails in Gmail and have their messages deleted automatically without being bothered. So you made it to someone's address book and suddenly you're getting five forwarded messages a day from this person. Unfortunately, no amount of pleading seems to convince this sender that you should be left out of the mass forwards. Your pleas for email silence are completely ignored. That means you have to read the jokes, amazing stories, and virus warnings or delete them right away; or you can let technology do the job. With a simple filter, Gmail can send all incoming email from your nuisance forwarders straight to the Trash folder as it arrives. As an alternative, you can archive and label these messages for later review. Of course, when you get one of those annoying emails in, you could just click the Spam button and send it into the internet netherworld, right? Sure. But that's not always the best idea. The Spam button should be reserved for reportingreal junk email, which can be classified as mass mail sent typically for financial gain and from a source that is not easily identified. For the single sender that keeps bothering you, it's usually better to block them. 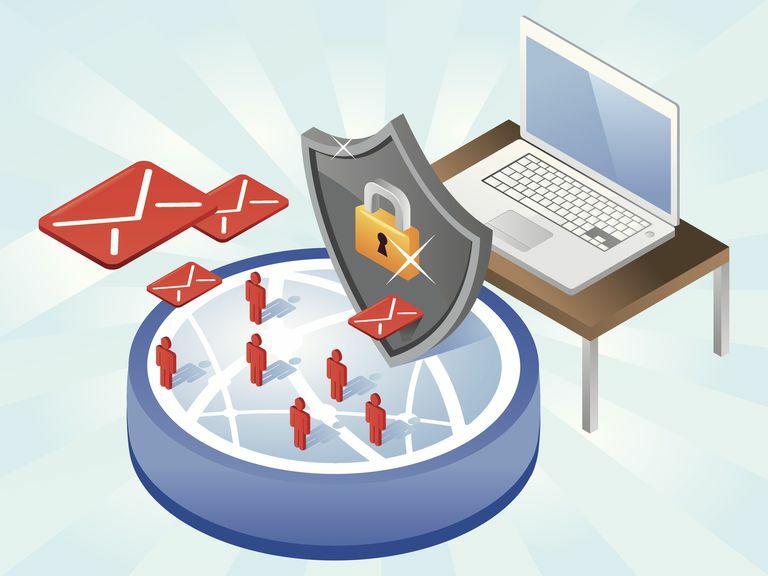 If you're receiving mailer daemon spam, read these tips. Click the More menu button (sporting three vertical dots) next to the Reply button in the message’s header area). Select Block Name from the menu that has appeared. For some senders, such as Google, you will not have the option to block messages. You can still employ a rule to "block" these senders; see below. Click Block in the confirmation message that appears. Looking to block a sender and have them receive a message you did when they send new mail? You can do so using a Gmail filter. To remove a sender from the blocked emails in Gmail and have future messages from the go to the inbox again instead of spam (unless, of course, a rule catches them or Gmail identifies them as junk for other reasons). Open a message from the sender you want to unblock. You'll see a big Unblock sender button. Click it. Click Unblock in the confirmation message that appears. In the The following email addresses are blocked... section, select the sender you want to unblock. Now click Unblock in the confirmation message that appears. Click the Show search options triangle (▾) in the Gmail search field. You can block an entire domain by entering just the sender's domain. To block all mail from both user-a@example.com and user-b@example.com, type "@example.com". To block more than one address, separate them with "|" (the vertical bar; typically above the backslash on the keyboard; not including the quotation marks). You can block both user-a@example.com and user-b@example.com by typing "user-a@example.com|user-b@example.com", for example. Select Delete it in the search filter dialog box appears. Check Also apply filter to X matching conversations to delete previously received messages. You should have now blocked a sender with a rule in Gmail. To archive and label instead of deleting messages, choose Skip the Inbox (Archive it) and then choose Apply the label. Next to that, select Choose label to open a dropdown menu of all available filters. You also have the option to create a New Label if that is what you need to do. Of course, you can always unblock somebody you have blocked using a filter in Gmail or whitelist an address altogether to prevent future messages from being put into spam. To add new senders to your block list, add them to an existing deletion filter by editing the filter and using "|" (as above), or create a new filter if the From: field has grown big and unwieldy. To find the existing filter click the Settings gear in Gmail, select Settings, and go to the Filters and Blocked Addresses tab.